If you work with lots of devices in Windows, you are sure to run into problems with device drivers. Sometimes, a particular version of a device driver might cause problems and removing it might be the only solution. This is an easy removal method if you have the device and know that its driver is being used when the device is plugged in. For such a case, plug in the device and open Device Manager. Right-click on the device and choose Properties. 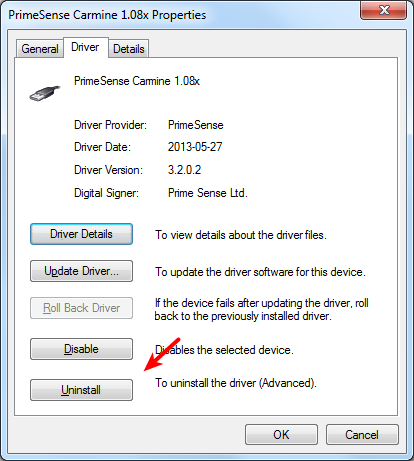 In the Driver tab, choose Uninstall. If you do not have the device or plugging it in causes problems, then the Driver Store Explorer (RAPR) can be used to remove the driver as described here.